The CCES Board of Directors is comprised of prominent people in Canadian and international sport and in fields such as medicine, academia, business, law, ethics and governance. Individuals are identified as candidates for the CCES Board on the basis of requisite skills, experience and expertise. The individuals serving on the CCES Board of Directors have agreed to provide their expertise to the efforts of the CCES on a voluntary basis. To contact CCES board members, please email info@cces.ca. Any correspondence marked “personal and confidential” will be redirected to the identified board member in confidence. Dr. Don McKenzie is professor and director of the Division of Sports Medicine at the University of British Columbia (UBC). He has a doctoral degree in exercise physiology from Ohio State University and completed his medical training at UBC. He has been the team physician for the Canadian Canoe Team for over 30 years and has attended nine Olympic Games. Dr. McKenzie is the chair of the Medical and Anti-doping Committee of the International Canoe Federation. He has served as president of the Canadian Society of Exercise Physiology and has an active research program that has graduated more than 80 students. His research is centered on respiratory exercise physiology and exercise and breast cancer. Dr. McKenzie is the founder of Abreast in A Boat, a women's dragon boat team composed of breast cancer survivors. This special blend of paddling as medicine has spread world-wide. Jocelyn is a Professor in the Faculties of Law and Medicine at Dalhousie University. 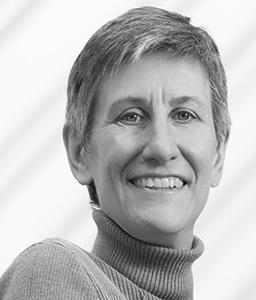 She is also an elected Fellow of the Royal Society of Canada and the Canadian Academy of Health Sciences. She has been the Director of the Dalhousie Health Law Institute, a Special Advisor to a Committee of the Senate of Canada, and Law Clerk to the Chief Justice of the Supreme Court of Canada. She has served as a member of such bodies as the National Blood Safety Council, Experts Committee for Human Research Participant Protection in Canada, Royal Society of Canada Experts Panel on End of Life Decision-Making, and the Committee of Inquiry on the Case Involving Dr. Nancy Olivieri, the Hospital for Sick Children, the University of Toronto, and Apotex Inc. She is currently Chair of the Board of Directors of the Surdna Foundation. Grounded in graduate degrees in both law and philosophy, Ms. Downie works at the intersection of law, ethics, and health care. Through all of her work, she tries to contribute to the academic literature and promote progressive change in health law, policy, and practice. 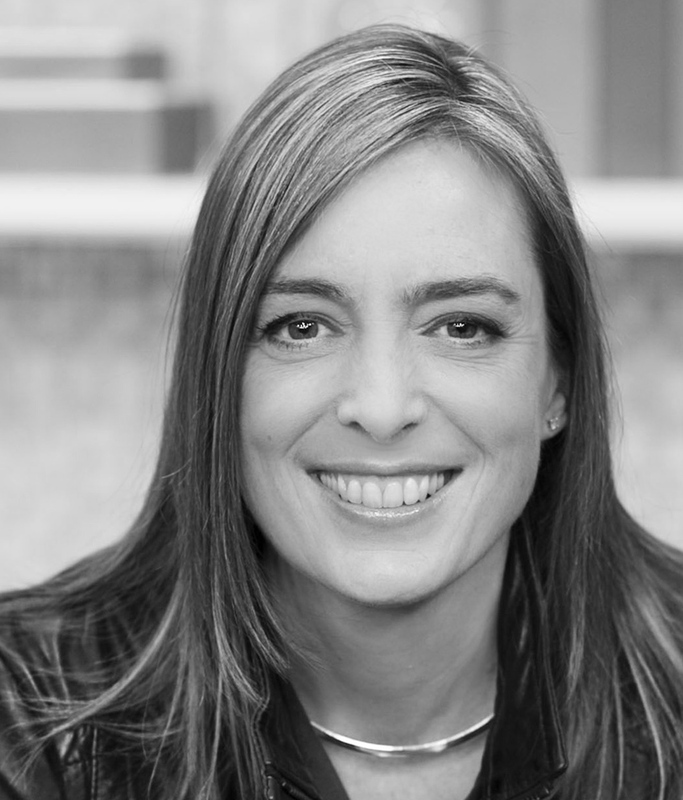 Julie Bristow is currently President and CEO of Bristow Global Media (BGM), a company she formed in 2013 after spending the past 20 years influencing how Canadians watch television. Formerly the Executive Director of Studio and Unscripted Content for CBC, Ms. Bristow was responsible for the production of Factual Entertainment, Sports (including Hockey Night In Canada and The 2014 Sochi Olympics), Unscripted Comedy and Specials. BGM is a global content production company that creates and produces next-generation content for traditional and new media platforms, including the seven-part series NHL Revealed: A Season Like No Other. Her work has garnered multiple industry and business awards for her contributions and executive leadership. In 2013, she was named one of Toronto Life's 50 Most Influential People, received the Crystal Award for Creative Excellence from Women in Film and Television, and was awarded the CBC President’s Award for Leadership. Ms. Bristow is also a board member of some the most influential domestic and international media associations, and volunteers her time to charitable organizations focused on addiction and mental health. 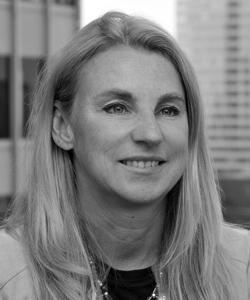 As Tax Partner at the Deloitte Private, Montreal office, Anne-Marie Dupras has over 25 years of professional experience, including 20 years in Canadian taxation. Ms. Dupras’ practice is broad based, focusing on domestic tax planning for private companies, mergers and acquisitions and corporate reorganizations. She also advises individuals and private family enterprises on succession and estate planning. She advises businesses involved in a number of industries such as consumer business (including manufacturing, retail and distribution), technology, media and telecommunications, Life Sciences, construction and real estate. She has developed significant expertise in tax issues specific to private enterprises, including tax structuring, incentives for R&D and innovation, shareholder tax planning, compensation plans for employees and executives and international expansion. She is a dedicated writer and speaker on tax matters, covering diverse topics, such as corporate reorganizations, tax planning for private companies and estate planning. Professional designations and education includes: Chartered Professional Accountant; Member of the Quebec Bar; CICA In-Depth Tax Course, Canadian Institute of Chartered Accountants; Bachelor of Civil Law (with Distinction), McGill University; and Bachelor of Commerce, Concordia University. 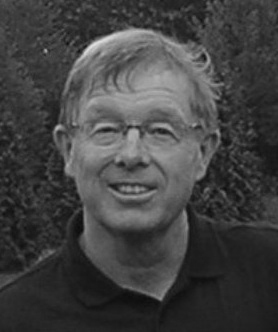 Ian Glen is a graduate of Queen’s University Law School (1971) and was appointed Queen’s Counsel in 1986. Mr. Glen spent his early years as a lawyer in the Department of Justice, with his last position being Senior General Counsel at the Department of the Solicitor General. For the remainder of his career, he moved into public policy and public administration roles. He has served in a number of senior positions, including Associate Deputy Minister of the Department of Employment and Immigration, Associate Deputy Minister of the Department of Citizenship and Immigration, Deputy Secretary to the Cabinet (Cabinet Operations), Deputy Minister of Environment Canada, Chief of the Communications Security Establishment and Chairperson of the National Parole Board. After retiring from a long and distinguished career in the federal public service of Canada, he served as Chair of the Board of Directors of the Canadian Air Transport Security Authority (CATSA) from 2007 to 2012. Dr. Lebrun is a Professor in the Faculty of Medicine and Dentistry, Department of Family Medicine at the University of Alberta in Edmonton, Alberta, and a consultant Sports and Exercise Medicine physician at the Glen Sather Sports Medicine Clinic. Her practice focuses on care of musculoskeletal and medical issues of physically active individuals. Research interests include health considerations of active girls and women (Female Athlete Triad, and Relative Energy Deficiency in Sport – RED-S) and return-to-play issues, i.e. concussion in sport. She was a member of the Canadian Medical Team for 4 Summer Olympic Games: 2008, 2004, 2000, and 1996; and 3 Winter Olympics: 2006, 2010 (Medical Director, Canadian Snowboard Federation 2007-2011) and 2014 (Chief Doctor). Other medical Games experiences include Pan-American Games (1987, 1991, 2003), Francophone Games (1994) and World Student Games (1989, 1999 and recently appointed Chief Medical Officer for Canada for Summer 2019 Universiade in Napoli, Italy). She was a former member of the Canadian Women's Volleyball Team, competing in World Student Games herself (1973, 1977), 1975 Pan-American Games and 1976 Montreal Olympics. Brian W. Lennox is a per diem judge of the Ontario Court of Justice. Executive Director of the National Judicial Institute from 2007 to 2014, he was the Chief Justice of the Ontario Court of Justice from 1999 to 2007, having previously been Associate Chief Justice and Regional Senior Judge of the same Court. He holds a B.A. from York University, an LL.B. from the University of Toronto, a graduate degree in criminal law (D.E.S.) from the University of Paris and an LL.D. (Hon.) from the Law Society of Upper Canada. Called to the bar in 1975, Mr. Lennox practiced law in Ottawa before being appointed an Assistant Crown Attorney in 1978 and a judge of the Provincial Court (Criminal Division) in 1986. He has been co-Chair of the Ontario Judicial Council, Chair of the Justices of the Peace Review Council, a member of the Board of the Ontario Justice Education Network, a member of the Canadian Council of Chief Judges and an executive member of the International Organization for Judicial Training. He was for 14 years an adjunct professor at the University of Ottawa and has worked on judicial education projects in Africa, Asia and the Americas. Akaash Maharaj is CEO of the Mosaic Institute, and leads its work strengthening pluralism within societies and peace amongst nations, by brokering dialogue between populations in conflict. He also serves as Ambassador-at-Large for the Global Organization of Parliamentarians Against Corruption. As an athlete, Akaash was a triple gold medallist at the International Championships of Equestrian Skill-at-Arms; he subsequently led the overall Canadian Equestrian Team and federation as CEO, to the team’s most successful Olympics and Paralympics of all time. He earned his MA from Oxford University in Philosophy, Politics, and Economics, and was the first overseas student elected president of the student government in Oxford’s history. He has been decorated twice in Canada’s national honours for his work on peace in the Middle East and for his services to integrity in international sport. His personal web site is www.Maharaj.org. A graduate of the University of Regina in Business Administration, Philip Murray culminated a lengthy career in the RCMP as Commissioner during the last six years of his service. Since retirement, he has served on numerous public and private sector boards of directors and advisory boards – notably the Ottawa Hospital (Chair of the Board of Governors) and the University of Ottawa Heart Institute (Member of the Board of Governors and Governance Committee). Other affiliations have included: Ipperwash Commission of Inquiry into Aboriginal relations with the police (Member of the Research Advisory Committee), Cornwall Commission of Inquiry into Historical Sexual Abuse (Member of the Research Advisory Panel), Pearson Peacekeeping Centre (Chair of the Board of Directors), Member of the Federal Witness Protection Advisory Committee, Member of the National Police Service Advisory Board, Garda World Security Corporation (Member of the Board of Directors and Governance Committee), Hydro Ottawa Limited (Member of the Board of Directors and Chair Governance Committee), Member of the International Advisory Board to President of Mexico on Counter Drug Strategy, Frontline Security Magazine (Associate Editor), and the Fairness Commissioner on several large and complex federal government contracts. Mr. Murray resides in Ottawa and remains active in, and committed to, safety and security issues. 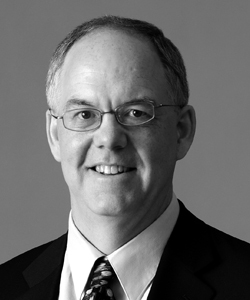 John Wilkinson is a partner at WeirFoulds LLP in Toronto. John holds a B.A. from the University of Toronto and an LL.B. from Dalhousie University, and was called to the Bar in 1987. John is a founding director of the Toronto Sports Council, the not-for-profit City Council-recognized “Voice for Sport” in Toronto, which promotes active involvement in sport and physical recreation for all. Since 2013, John has been Executive VP, Competitive of the Toronto Leaside Girls Hockey Association. John's professional expertise includes law related to corporate governance, risk management, intellectual property, commercial and employment agreements, mergers and acquisitions, charities, non-profits, and sports and Olympic law. John represents clients involved in education, consulting, health care, social services delivery, sports administration, hospitality, and manufacturing. John is currently the President of the Canadian Association of University Solicitors, serves on the board of directors of the Ontario Tourism Education Corporation, and is on the Governance Committee of University of Toronto Schools. John was an Adjunct Professor at Western University’s Faculty of Law in 2006 and 2008. Dr. Andrew Pipe's is Chief of the Division of Prevention and Rehabilitation at the University of Ottawa Heart Institute. The first Chair of the CCES, he has extensive, ongoing experience in addressing doping issues and his knowledge of sport, health and medicine is an invaluable asset to the CCES. Dr. Pipe has been the Team Physician of Canada's National Men's Basketball Team for more than 30 years and served as the Chief Medical Officer to Team Canada at the 1987 Pan-American Games, the 1992 Olympic Games and the 2006 Commonwealth Games. He is the first Canadian to receive the International Olympic Committee's Award for service in the field of Sport Medicine. Currently, Dr. Pipe is the President of the Commonwealth Games Association of Canada and an Associate Editor of the Clinical Journal of Sport Medicine. He is a member of the Order of Canada and of the Canadian Olympic Hall of Fame. President, CEO, and Secretary-Treasurer of the CCES, Paul Melia plays a variety of essential roles at the CCES. His responsibilities include the administration of Canada’s doping control program and working with governments and sport organizations to implement a national ethics strategy for amateur sport. A graduate of the University of Ottawa with a Masters degree in Health Administration, Mr. Melia has used his extensive knowledge and expertise in the development and implementation of public awareness, education and social change campaigns for a variety of health and social issues. He currently serves as President and Chair of the True Sport Foundation. He is the former Chief of the Tobacco Programs Unit at Health Canada, the past President of the Association of National Anti-Doping Organisations, and the former Regional Vice-President of In-Touch Survey Systems Inc.